The Cancer Association of Namibia (CAN) on Monday highlighted the importance of early cancer detection, screening and diagnosis in saving lives. 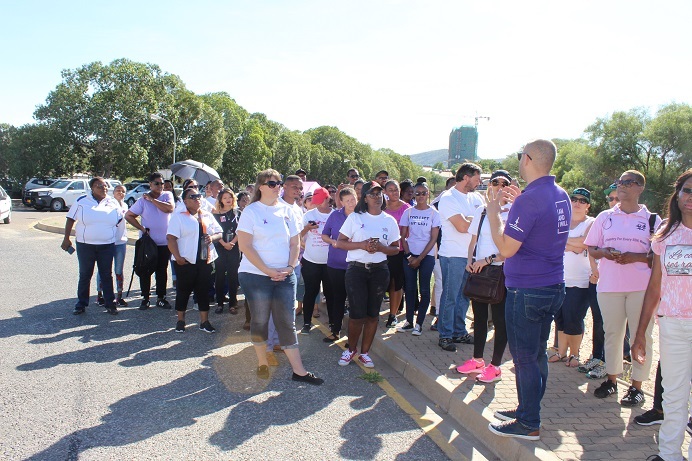 CAN’s message was reiterated by its Chief Executive Officer (CEO) Rolf Hansen, during the commemoration of the World Cancer Day here on Monday, where a ‘Lavender Walk Route’ took place. “Universally, the majority of cancers are amendable to early detection. When a cancer is detected at an early stage and when coupled with appropriate treatment, the chance of survival beyond five years is dramatically higher than when detected at a later stage when the tumour has spread, and the disease is more advanced,” noted Hansen. “Age can largely influence someone’s ability to understand and communicate their early symptoms of cancer, making children particularly vulnerable,” he said. “By detecting cancer at its earliest stage, we seize the greatest opportunity to prevent millions of avoidable deaths worldwide,” she explained.